Unfortunately, many frustrated Provo, Orem, and Utah County denture wearers have quit dining in restaurants or engaging in social activities because they are afraid their dentures will slip. Dental implant procedures at Hammond Aesthetic & General Dentistry in Provo are allowing former denture patients to re-engage in life. 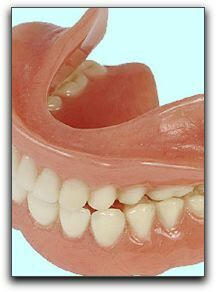 Our dental implant clients in Utah County, Provo, and Orem who have replaced their traditional dentures with implant overdentures enthusiastically say that the dental implant cost was more than worth it. If you want more information about dental implants, call 801-374-0070 to schedule an implant tooth consultation with Dr. Chris Hammond. Hammond Aesthetic & General Dentistry is located at 3575 North 100 East, Suite 200 in Provo. We have been providing advanced dental care in for the Provo, Orem, and Utah County area since 1996.